Christy here. 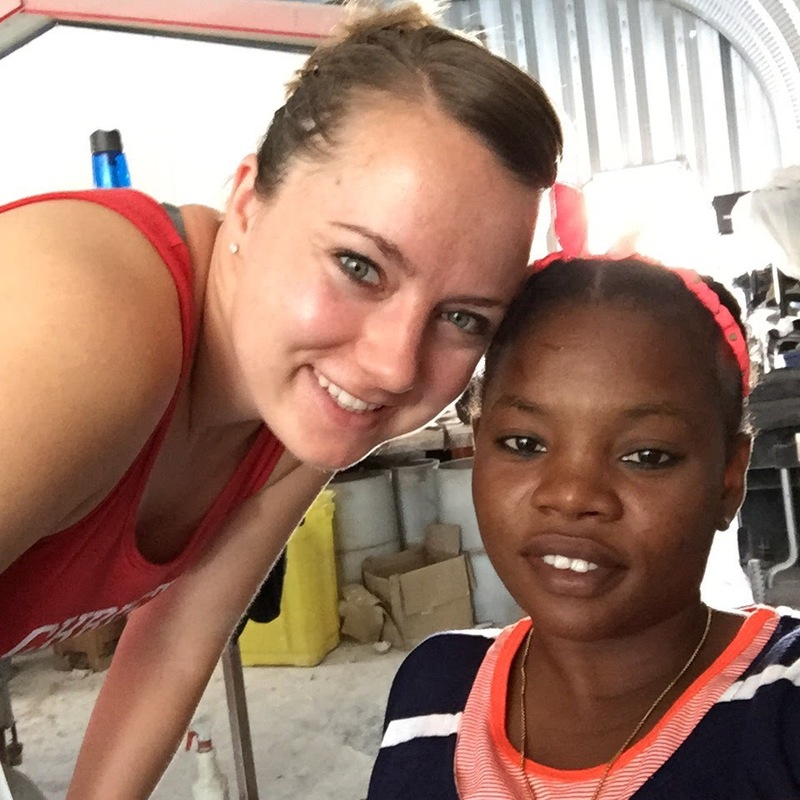 I am writing you from the airport in Port-au-Prince, Haiti. We always seem to be delayed leaving here so I even though I allowed 3 hours in Miami to get through customs with my snowboard bag (only thing long enough to fit my running leg) and two mostly empty supply suitcases – I think I will be spending the night there. What an exhausting, amazing, trying at times, and fun week! 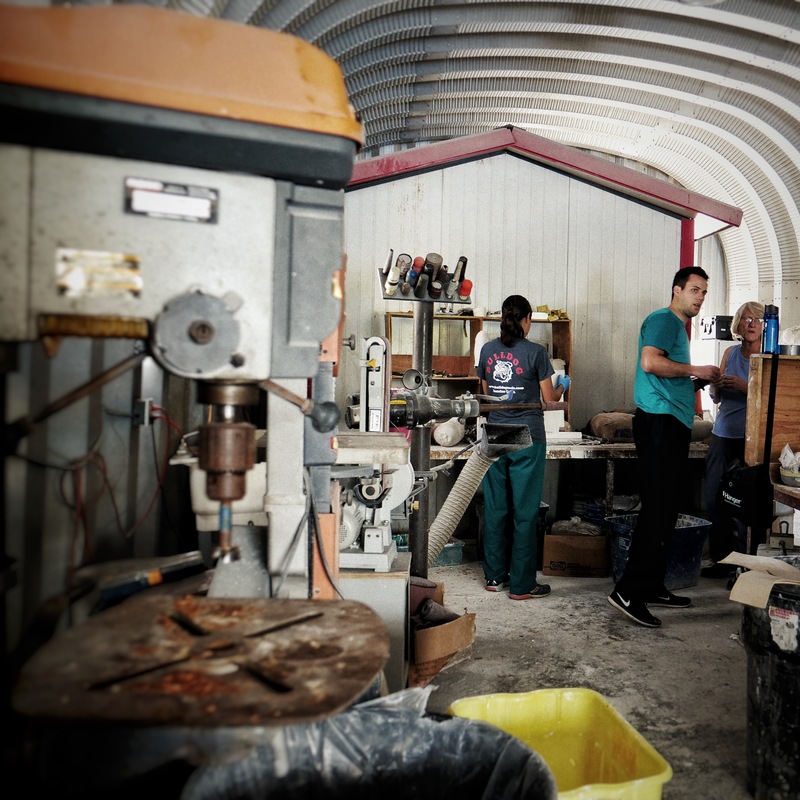 First, I want to thank our amazing team of volunteers that agreed to spend a week in a ridiculously hot tin building on the roof of a hospital building in Port-au-Prince to get 14 kids, teens, and adults new prostheses! 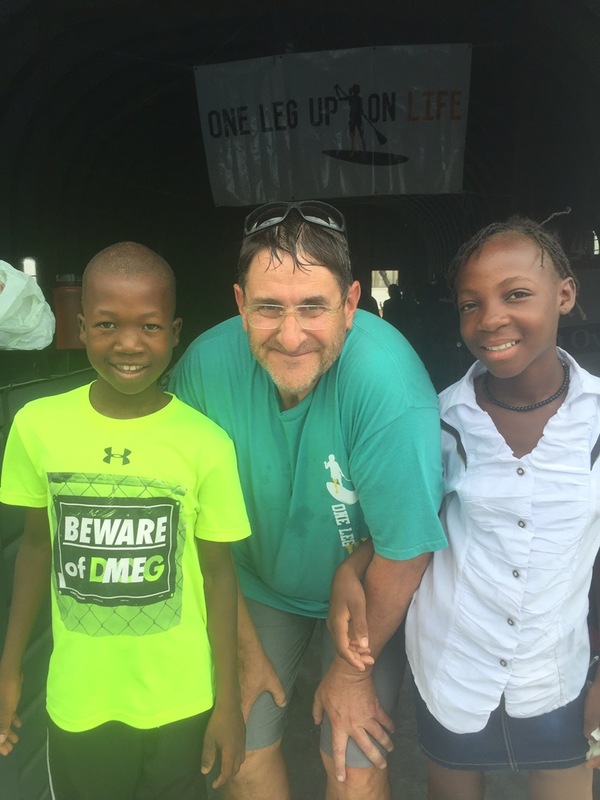 I also want to thank Stacy and Joe with the hospital who live in Haiti full time and worked with us all week – making sure we had transportation to dinner, meetings, etc and helped us plan for our next trip. Let me tell you a little bit about our team this trip. 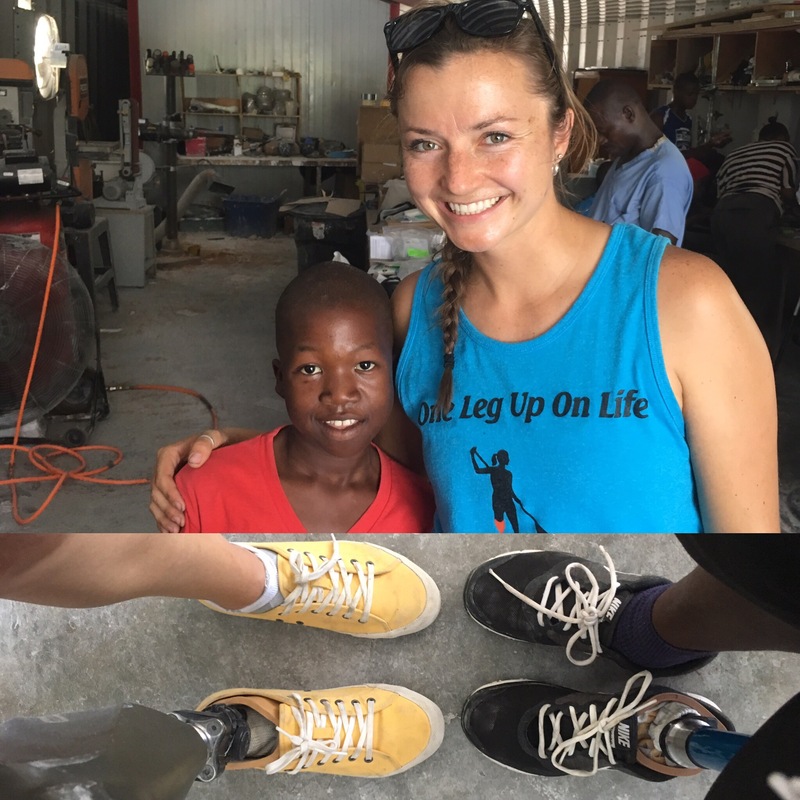 We had three prosthetists (aka leg-makers) Andrea, Cate, and Ryan. All three of them came on trips with us last year so they knew what to expect –which is chaos, haha. 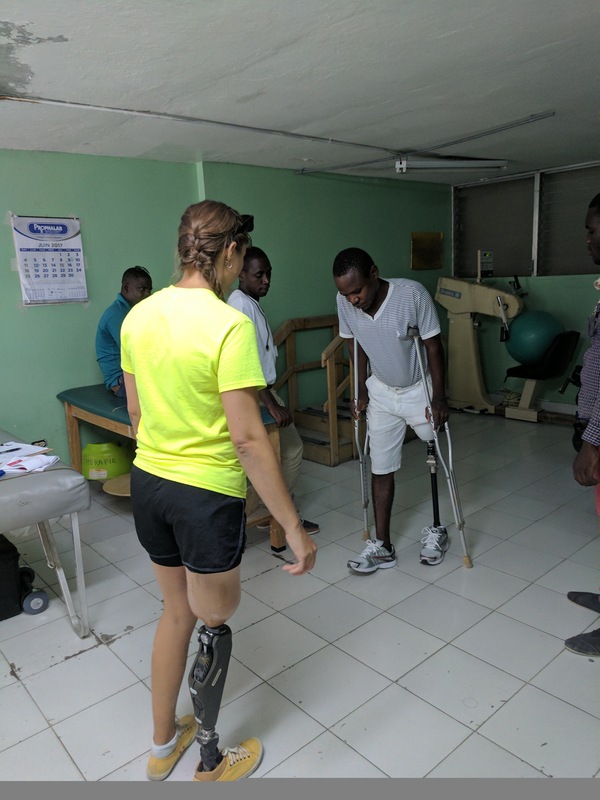 Between the planned patients and then a bunch of walk-ins, they never have a spare moment during the day between casting sockets, pulling plastic, adjusting and assembling the components, making nice cosmetic covers, adjusting, fitting, and fixing prostheses for the patients. 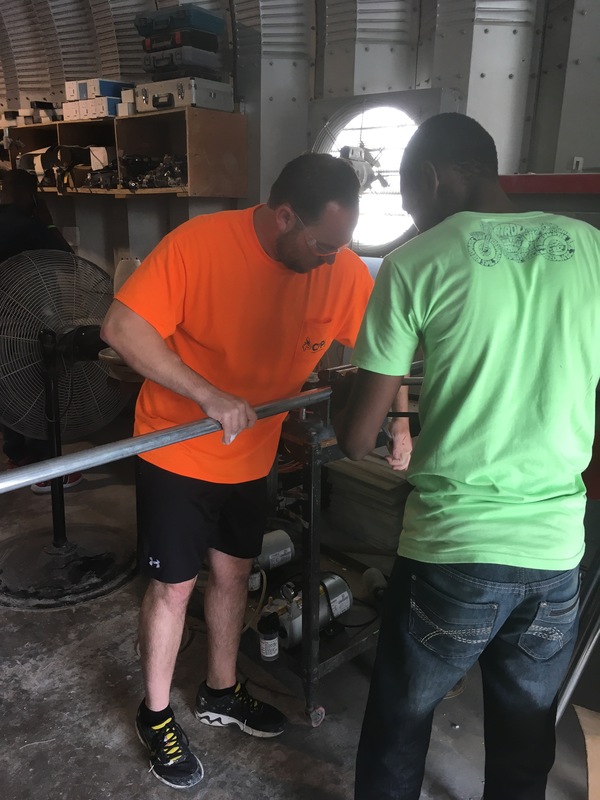 Brandon is our construction guy and we kept him busy with building us parallel bars and an athletic table to use with all our patients this time along with fixing anything and everything that breaks around our lab and hospital. 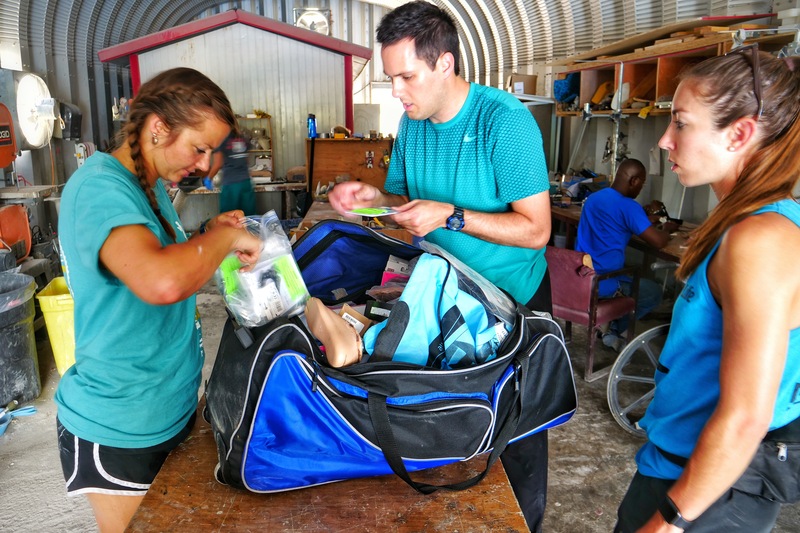 Derek is our Athletic Trainer who was super busy not only seeing all our amputees (who always have hips that are out of alignment and overcompensation issues on their “good” leg or knee) but also everyone on our team (from standing all day) and other volunteers in the hospital. 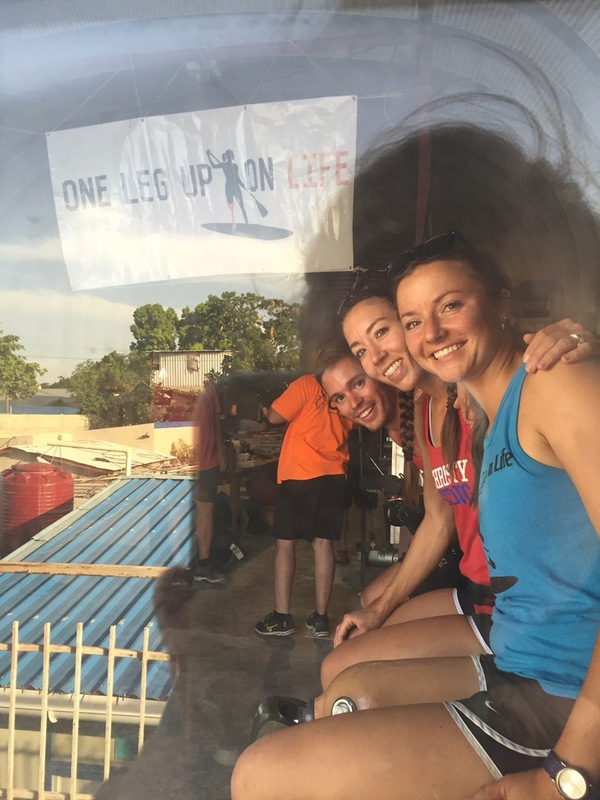 Then this trip, we had three of the One Leg Up on Life Board members: Jimmy, Maggie, and Jake. They have all done so much behind the scenes with the administrative aspects of running a non-profit (tax-paperwork, website building, countess emails and phone calls, managing our social media, planning and executing fundraisers etc) so it was so great to let them see what all of that goes to – plus we definitely put them to work too! 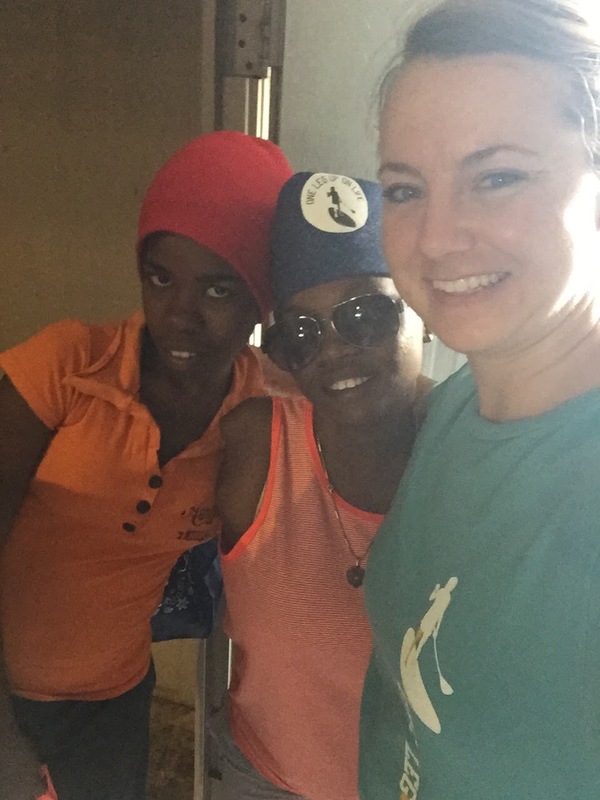 Then I guess there’s Jess and I (the founders, haha) and we just run around all week, doing whatever needs to be done – helping with the building, inventorying, talking to the translators, hospital, teaching the kids to run and walk, whatever! So let me tell you about some of our patients! 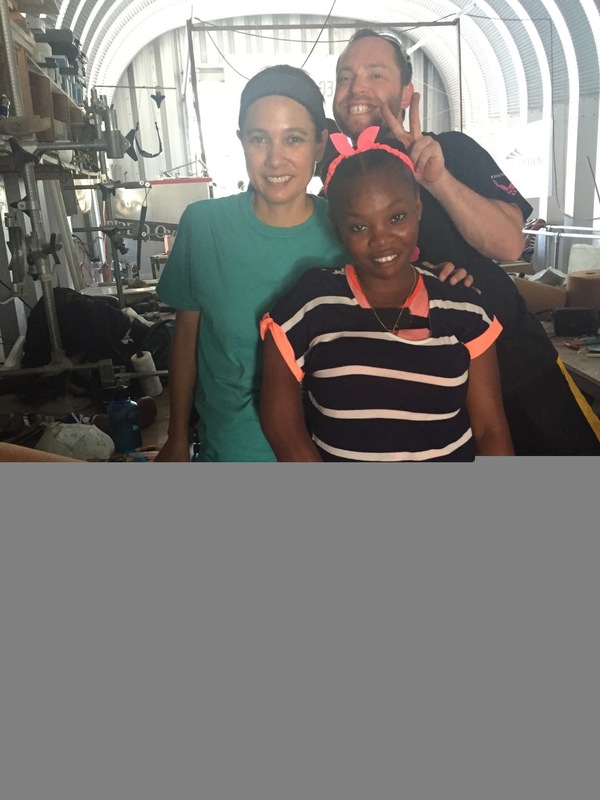 First there’s little Sarafina – a 2.5 year old that we saw on our last trip when she was only 1. 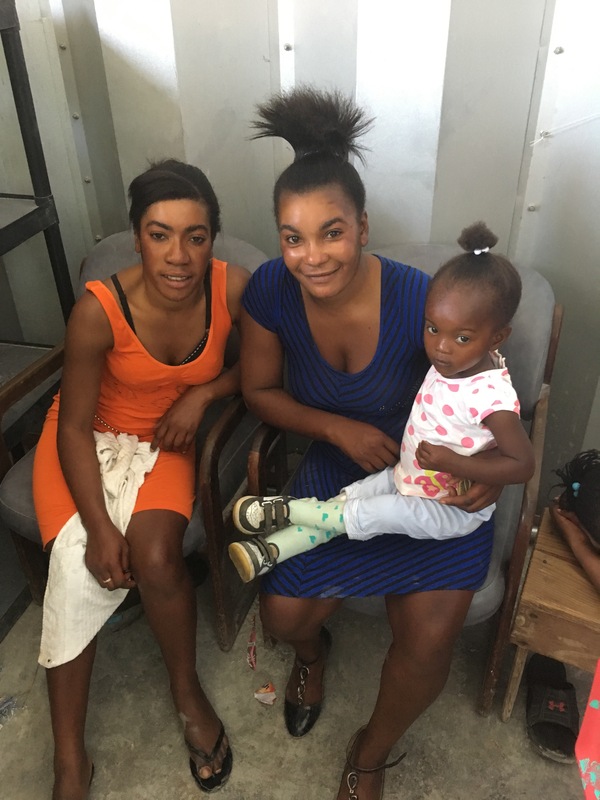 Her mom and her traveled several hours from the mountains so we could get her a bigger socket and foot since she has obviously grown since we last saw her! 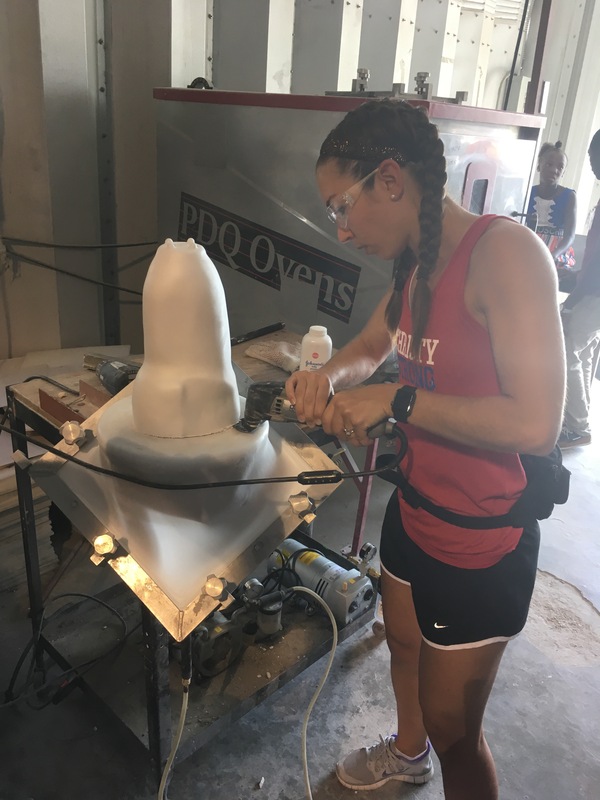 She still screamed and cried the whole time we casted her and put the new leg back on but her mother told us at home she runs around everywhere on that little leg – so that’s all that matters to us! When she’s not crying – she’s the cutest little girl. 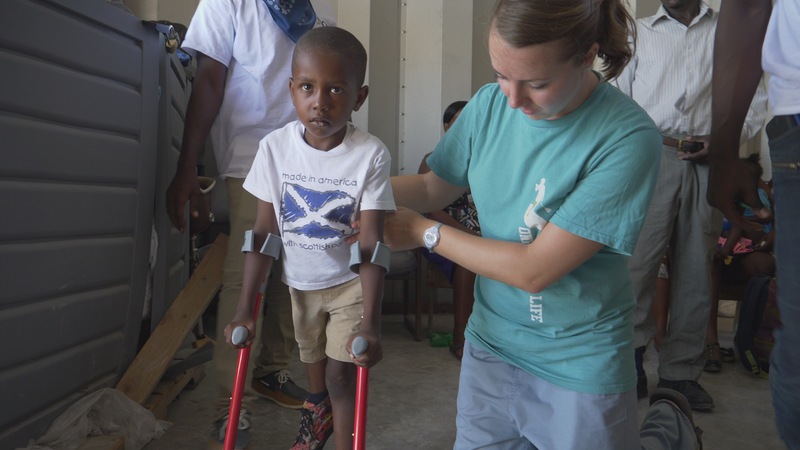 Then there’s Watson – an adorable 6 year old who’s left leg is 7.5 inches shorter than his right – making it very hard to walk around. First we got him some pediatric crutches and taught him how to use them. 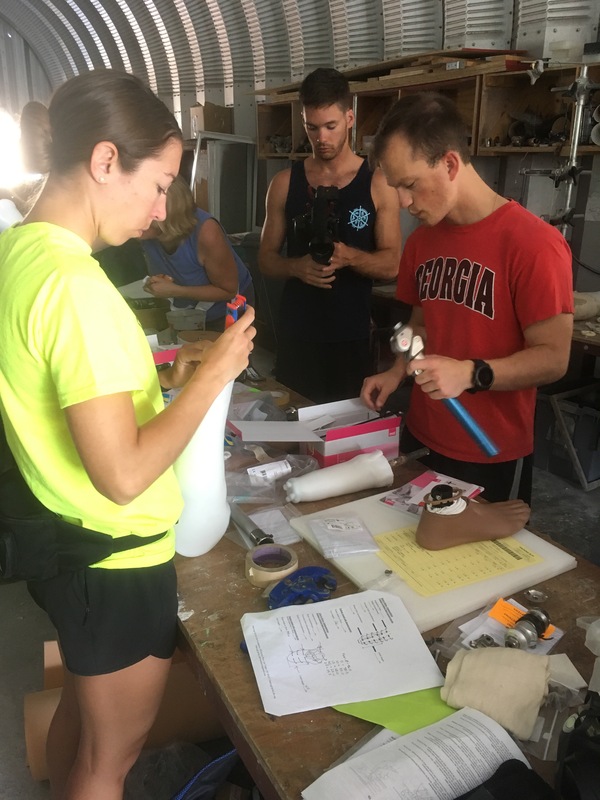 Then Ryan whipped up the coolest orthotic device/prosthesis – it’s a brace for his leg with a pylon and prosthetic foot to make his legs the same height (see picture). Watson was the most patient kid – he just sat in a chair all day watching us and waiting for us to build it – he never cried or complained – just took everything in – until he was able to walk out on it at the end. I can’t imagine how scary it would be to travel so far and then have a bunch of strangers push and prod your leg and then give you all these new contraptions they want you to use while they all watch. When we could get a smile out of him it was amazing. I think Maggie was the best at getting him to come out of his shell a little (see picture). Next is Woodley – which I don’t think I’m allowed to have favorites – but if I was, it would be him. 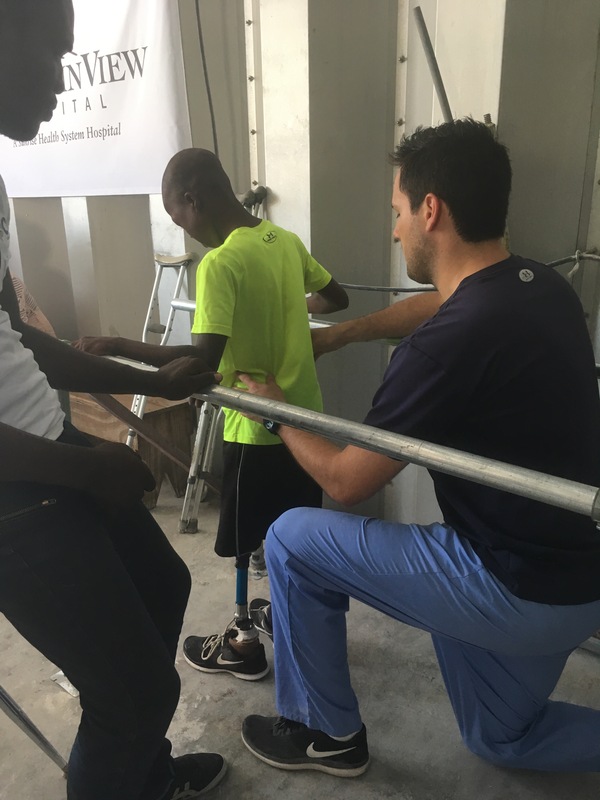 A Haitian Physical Therapist working in the hospital named Sammy came up and asked me very nicely on Tuesday if we could do anything for his little neighbor who was missing a leg. I said, “well, as you can see – we have a lot of patients already – but yes, bring him in and we will see what we can do.” The whole time I was thinking, “please let him be a below-the-knee amputee because we already have so many above-the-knee patients which are much more complicated and take more time (and we only had a certain number of knees)”. Woodley came in the next morning with Sammy right during a busy rush, so I talked to him a bit and had him wait for a while. I was so relieved that he had a knee (just barely! 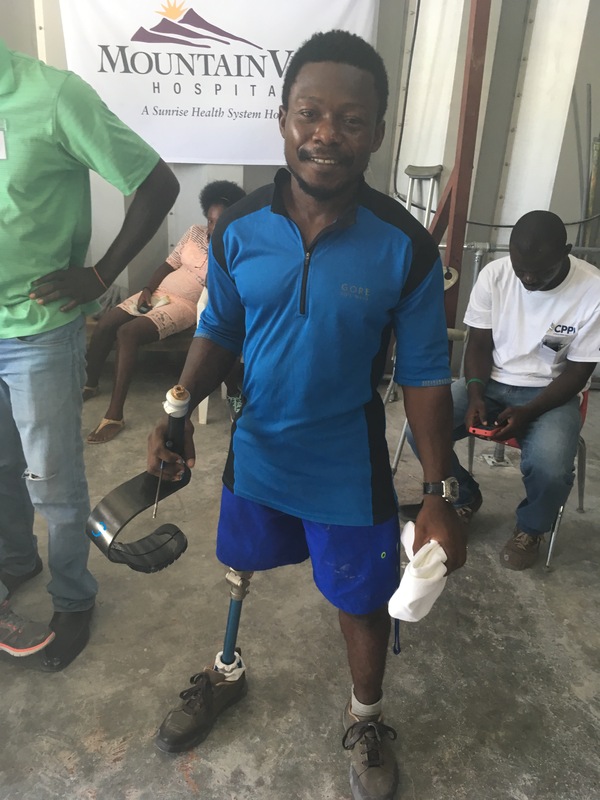 – with very little residual leg below it to attach a prosthesis to) The crutches he has used every single day since he lost his leg in the 2010 earthquake were broken so Brandon set to trying to fix them. 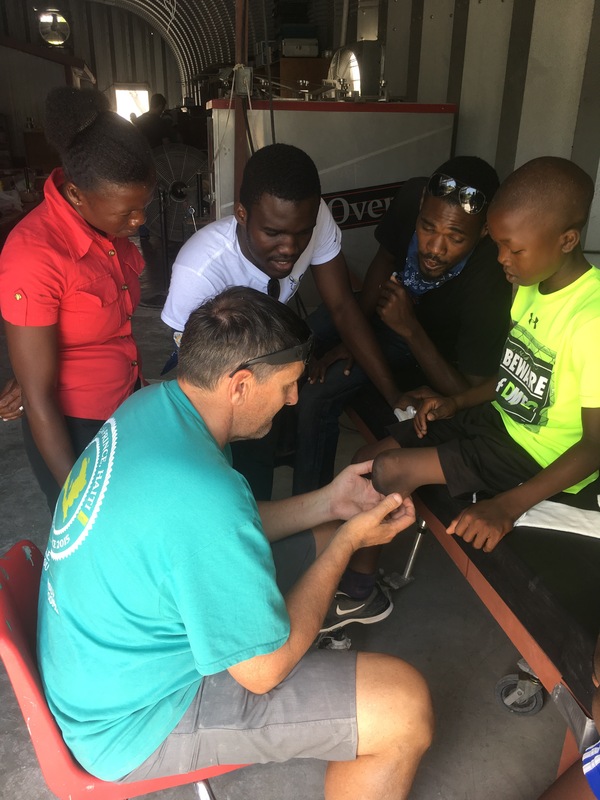 When we had a spare second during lunch that day I tried to nicely ask our already overworked prosthetists (each had about 5 patients they were already working on) if we could fit another little BK (below-the-knee) into the schedule. They said of course and so we casted Woodley that afternoon and set about trying to find an extra foot and pylon that we could use for him (the easy part). The hard part was that we didn’t have a suspension sleeve or socks small enough for him, so we ended up “macgivering” an old liner in the shop as a sleeve and sewed some socks together. 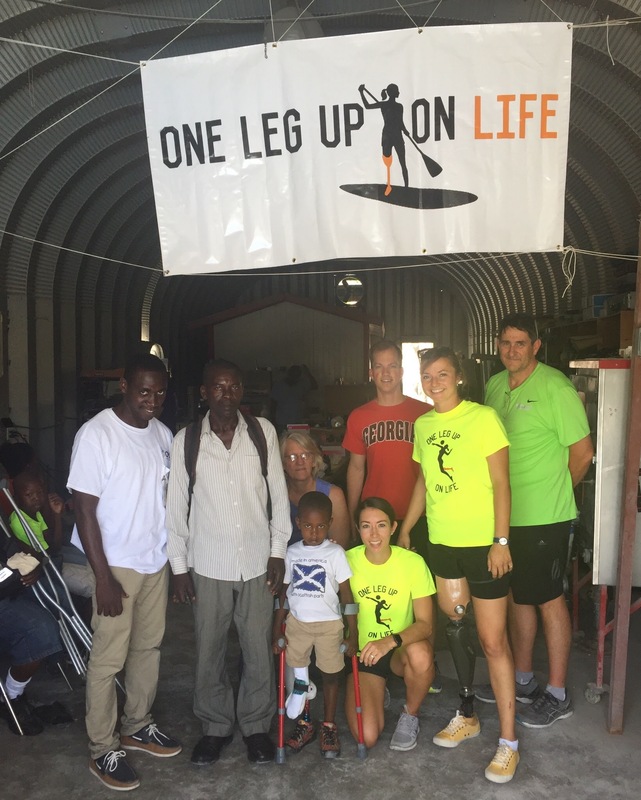 The next day when it was all put together, it just so happened that Derek and I were outside and around the corner working with three other amputees for running: Kervens, Orimo, and Christlande. Cate fit Woodley with his leg and had him walk in the parallel bars twice. Then Cate says he just headed right out the door and started going down the stairs! Here is a kid who hasn’t used his residual leg in 7 years (so the muscles are all atrophied from unuse and need to be built up again) and he’s just off and out the door without any crutches! Cate chased after him and asked him where he was going? To the runners, he says! Of course. 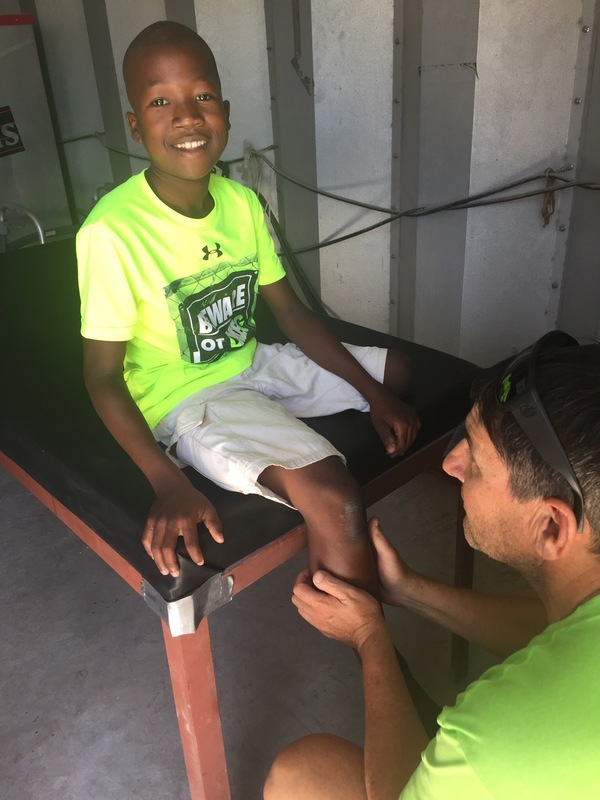 This 10 year old is limping because his muscles don’t even know how to act with this new leg – but he has it and so he’s going to be with the other kids! He can’t miss any of the excitement. Woodley was always full of smiles and high fives. I’m thankful his neighbor, Sammy, asked and brought him to us. 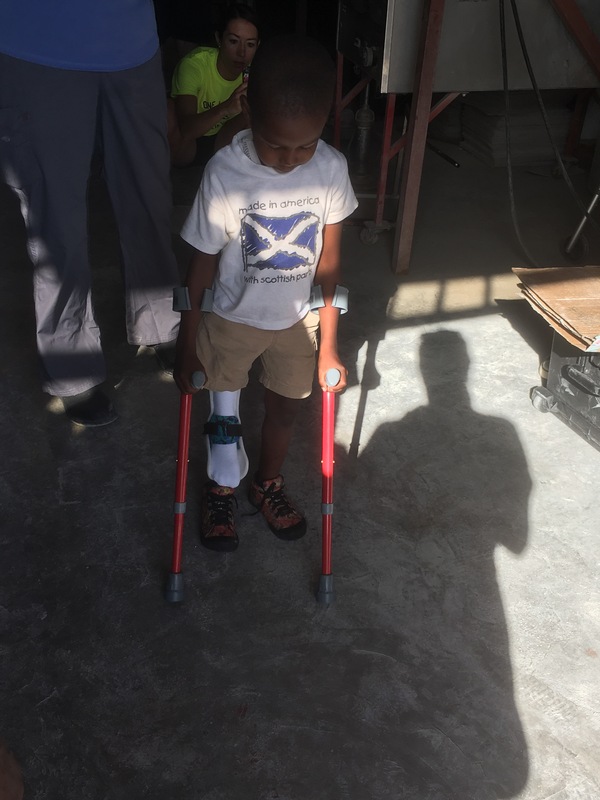 We asked his mom why he didn’t have a prosthetic leg before because there were a lot of non-profits and other people helping with prosthetics right after the earthquake. 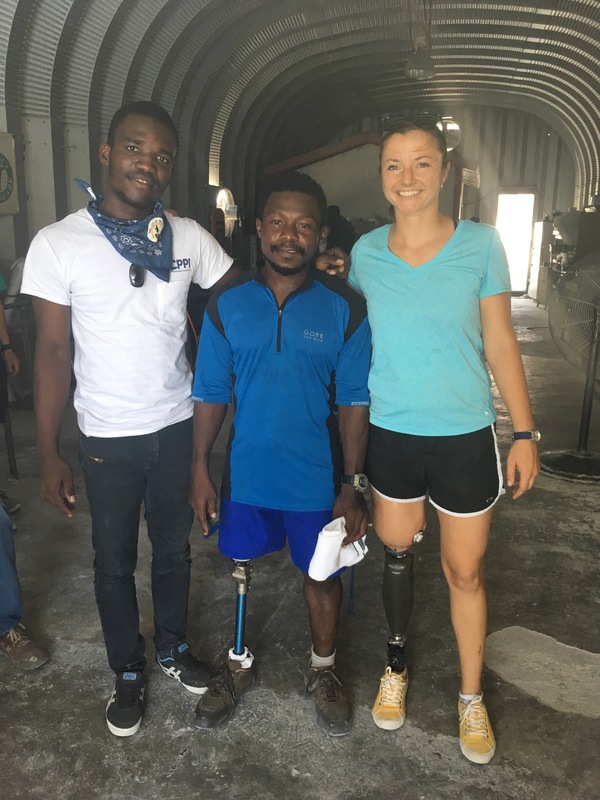 It’s somewhat rare to find someone from the earthquake who has never had a prosthesis before – more likely, they have outgrown or broken them. She said she didn’t look for one for him. Originally that upset me. After thinking about it later I realized, “who am I to know what she went through or what else their family was dealing with. They were probably just trying to survive then and maybe even still now. Maybe she didn’t know how to ask for something like that or know where to go”. 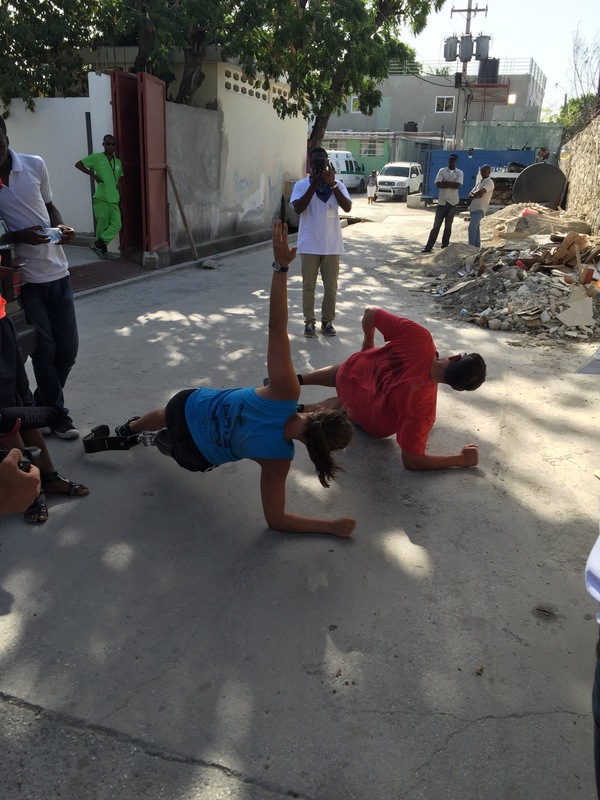 When we taught her exercises to help him build his muscles back up she paid attention and promised to help. She was thankful and attentive. I felt guilty for my initial judgement of her. 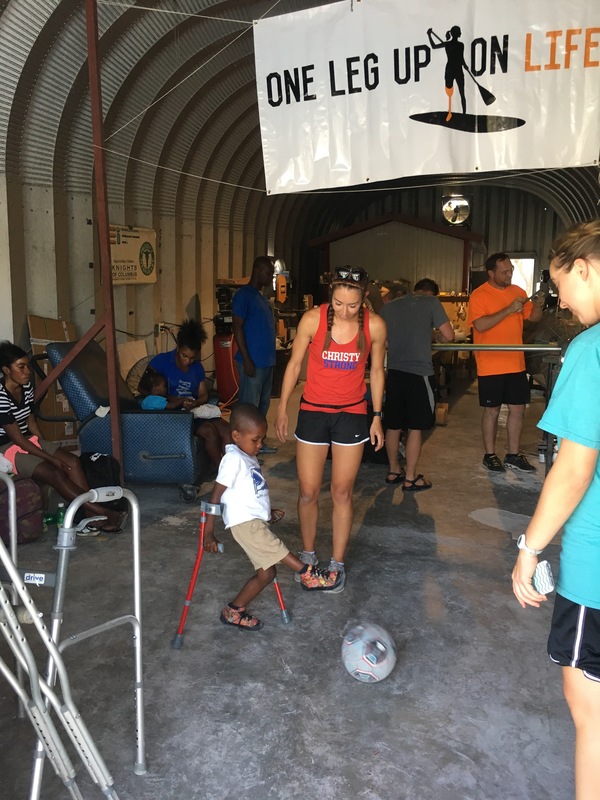 On our next trip, when Woodley has had a chance to get stronger and better at walking, you can be sure we will have a running leg for him! Orimo is a 30 year old soccer player that has spent his whole life on one leg because of a birth defect. He is on the crutch soccer team and I have seen him play. It’s amazing! He can basically run with them – or balance on the crutches while kicking a ball near his head! We fitted him for an above the knee prosthesis (his first one ever! )and his athletic ability helped him pick up walking pretty quickly. I taught him ramps and curbs in less than 30 min! We thought he would be a good patient for a running leg so I set out to teach him. This was definitely not as easy as teaching him to walk. 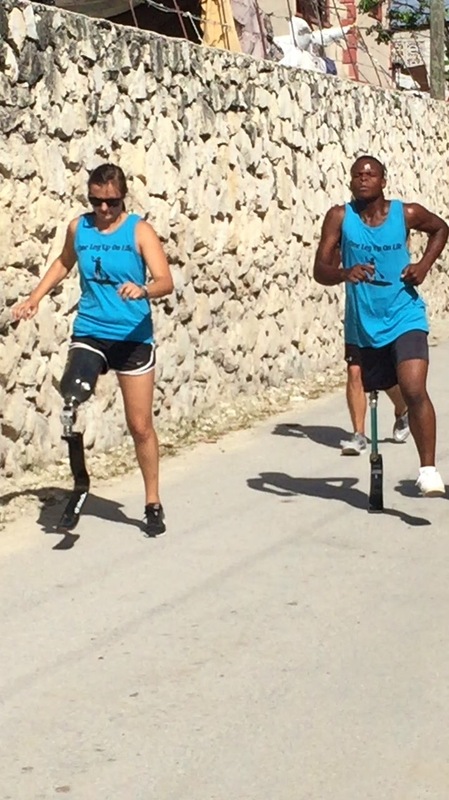 He has spent his whole life centering his one leg under his body during sports so getting him to move that leg back to the other side and learn to shift his weight over on the prosthetic blade is not natural. After countless drills and explanations, he was getting frustrated at the lack of bounce he was getting out of it and I didn’t know how else to try to explain or show it. The best moment for me was when Kervens – an above the knee amputee who we taught to run on our first trip more than a year ago – started rattling off all this stuff to Orimo. Kervens made Orimo laugh about something and then started showing him. It was so cool to see! 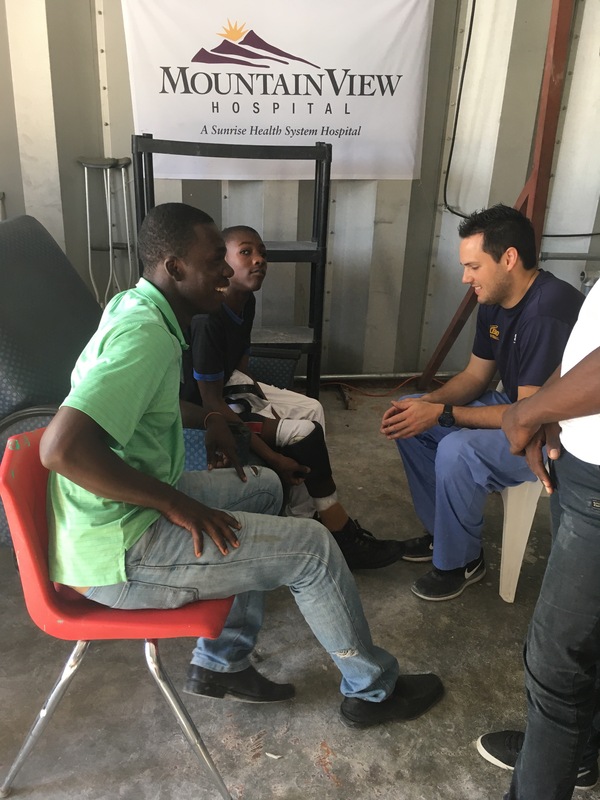 We still didn’t really get Orimo to run before I left today, but he knows how to do it and Kervens and one of our Haitian technician, Wilfred, promised to keep working with him. He said he knows he probably has to keep getting used to it- and I have to remind myself that there were plenty of things I had to get used to as well! Nothing as an amputee is easy. It always takes time. It took time for me to learn how to do everything, and I’m still learning. Of course it isn’t any different for Haitian amputees. -I can run backwards! I never knew this before but as I was teaching Orimo to run – I ran backwards for a little bit to watch him and then was really excited when I realized what I was doing, haha! -There’s a Haitian beer called “Prestige” and it’s delicious! I actually don’t know if it’s actually that good, but sitting with our team at dinner after a long, exhausting, hot day and drinking a cold beer together is something I look forward to every single day. -Next trip I am bring my mechanical knee! 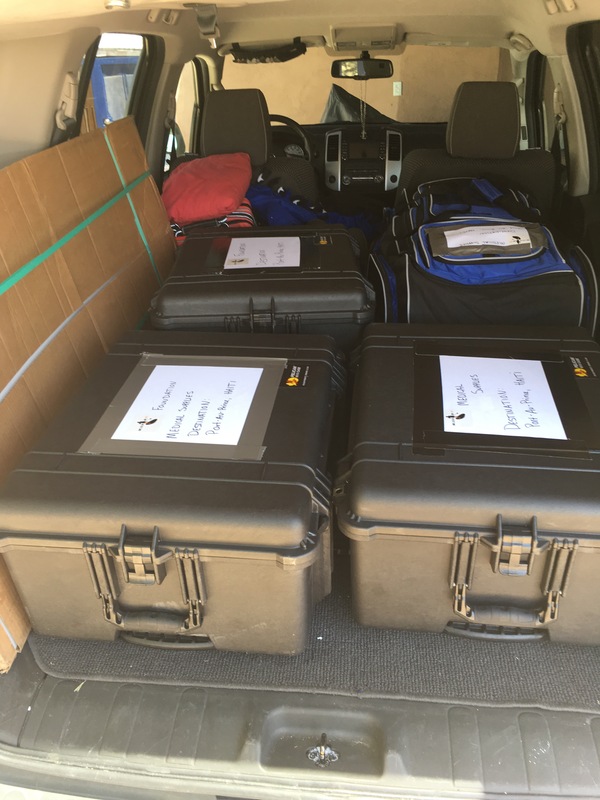 I brought it the first two trips last year but didn’t use it at all and it was just more weight to carry around, but of course this trip I could really have used it as I was teaching about 8 Above-the-Knee amputees to walk! My computer leg that I wear every day works slightly different than mechanical knees so next time I definitely want to teach them using the same thing. Live and learn I guess. -Everyone has a story! Sitting down with all the amputees that came in and a translator – I was able to tell them how I lost my leg and learn about their lives. It was great to make that connection with them and tell them how happy I was to meet them and that I was only there because so many other people had supported me, so I wanted to pass that along to others. does justice to the accomplishments of Christy and the team. 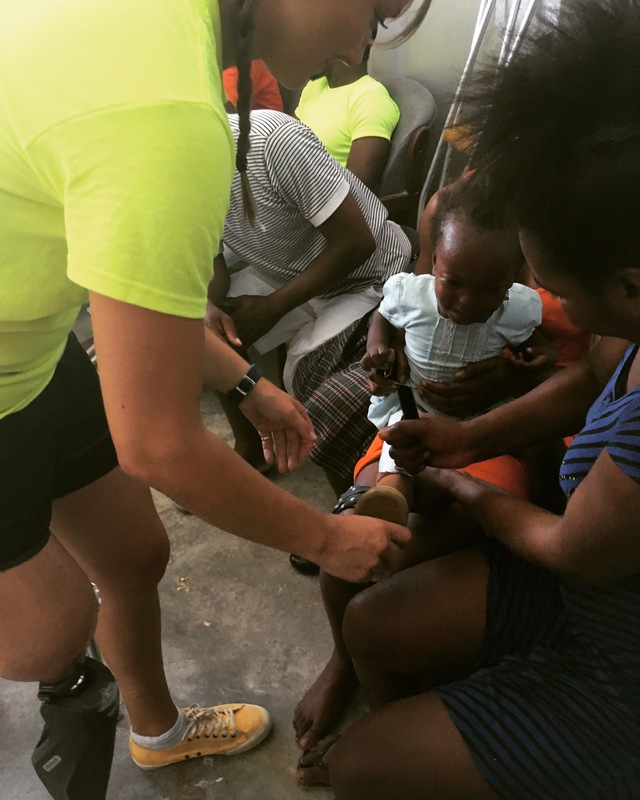 It has taken me just about a week to recover from our 2017 trip to Haiti, and for the second time in ten months it was totally worth it. 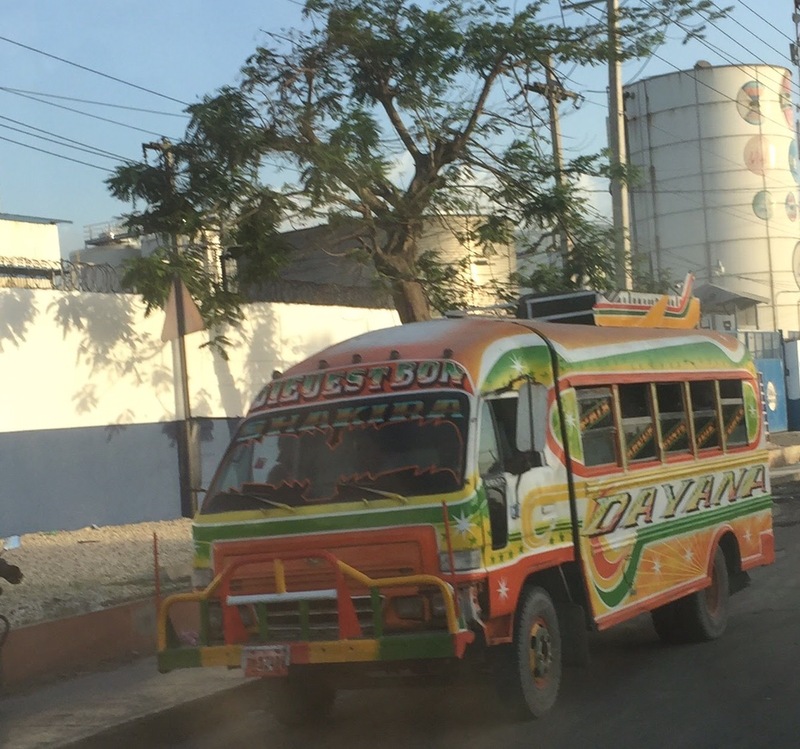 Returning with a little more experience than last time, we hit the ground running once we got to Port-au-Prince. Long hours spent in the heat resulted in so many of our patients walking out with a renewed sense of pride and purpose. 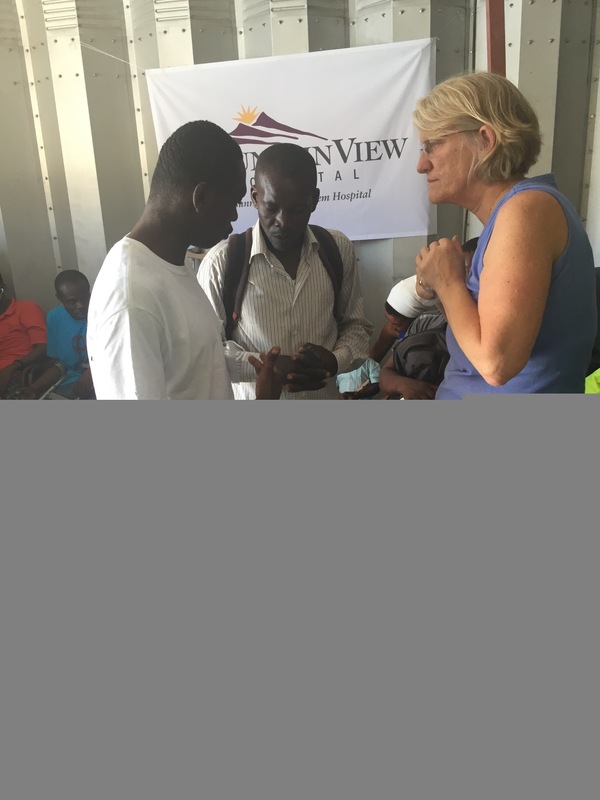 The collaboration between the OLUOL volunteers, Haitian technicians, and translators, the creative problem solving, and the genuine enjoyment of our work at Bernard Mevs make these trips unforgettable. OLUOL has a bright future, and I am excited to help it along the way! 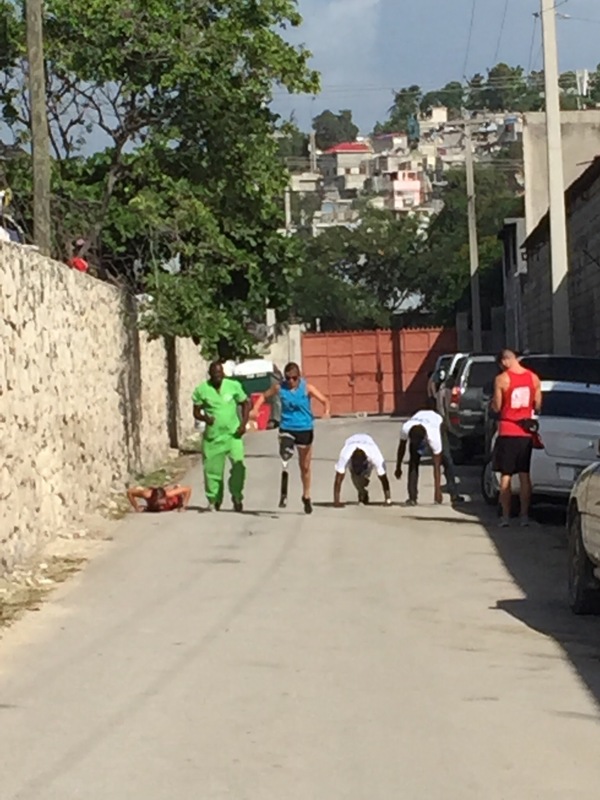 This past week in Haiti was life-changing. 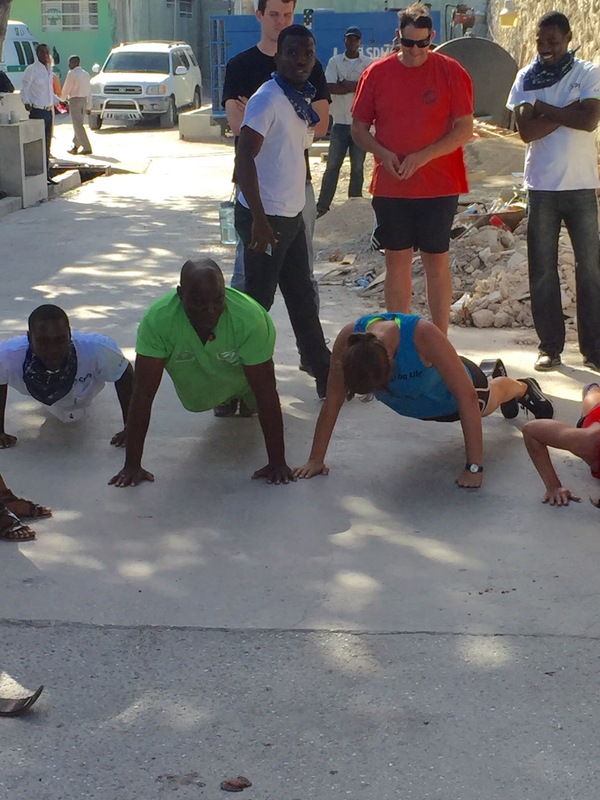 I’ve been involved with OLUOL since it’s inception, have seen pictures, corresponded with countless people, and helped organization but none of that remotely conveyed what’s actually happening in Port-au-Prince. The poverty is crushing. It’s unimaginable on an American scale. But the people are rich in spirit also unimaginable on an American scale. 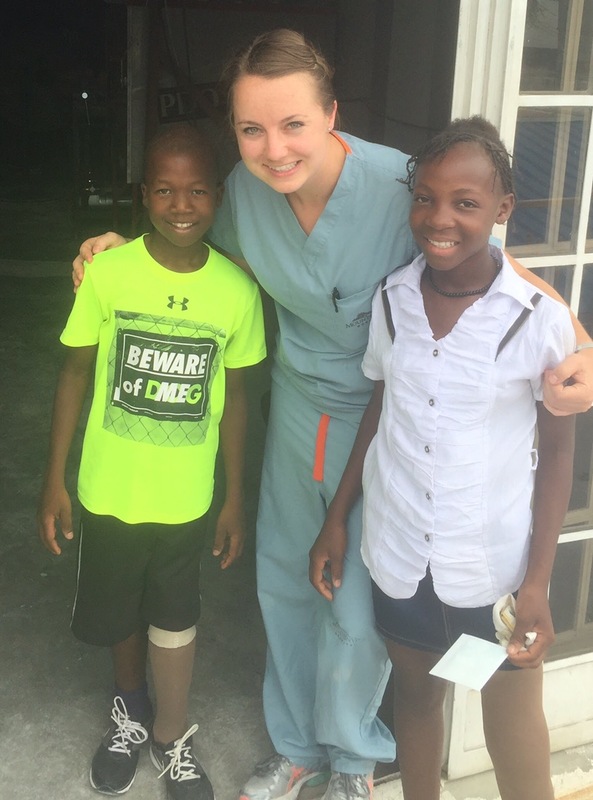 We saw a 12 year-old “walk-in” patient who was cast Tuesday and fit (got his prosthesis) on Thursday. On his first leg in 7 years, after a few laps on his new leg up in the lab, he proceeded to walk down the flight of stairs, up and down the ramps, and into the alleyway. As he strolled around the corner to join Christy, Derek, Kevins, Chrislande, and Orima who were working on running, Cate (who’d accompanied him) said, “this is his maiden voyage; he just wanted to be with the other kids so badly.” The courage, determination, and perseverance demonstrated by such young people is truly inspiring. Equally inspiring is the quality of the work and cooperation of the team. The prosthetists constructed 13 complete legs from scratch. 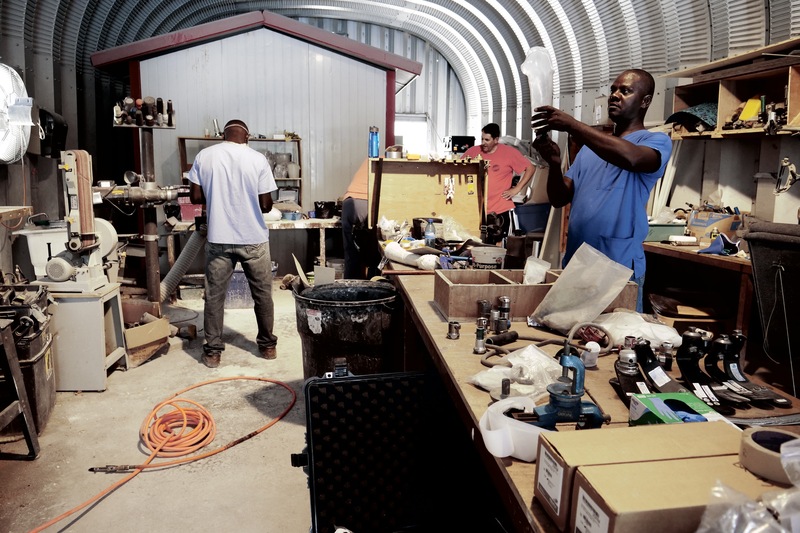 Casting, molding, shaping, grinding, sanding, assembling, fitting, and adjusting: all by hand. 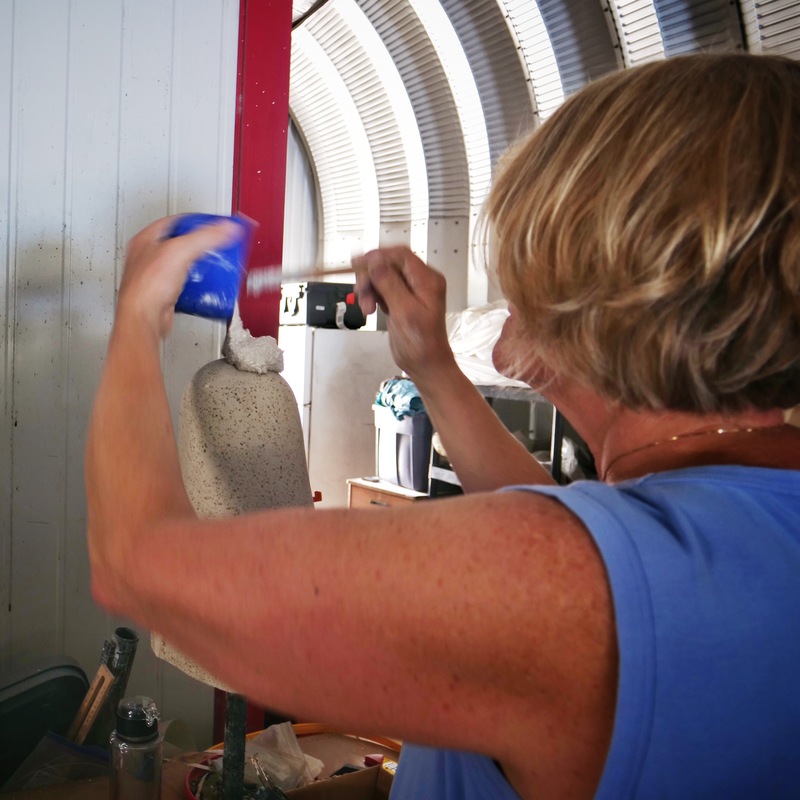 They solve problems creatively and personally for each patient. 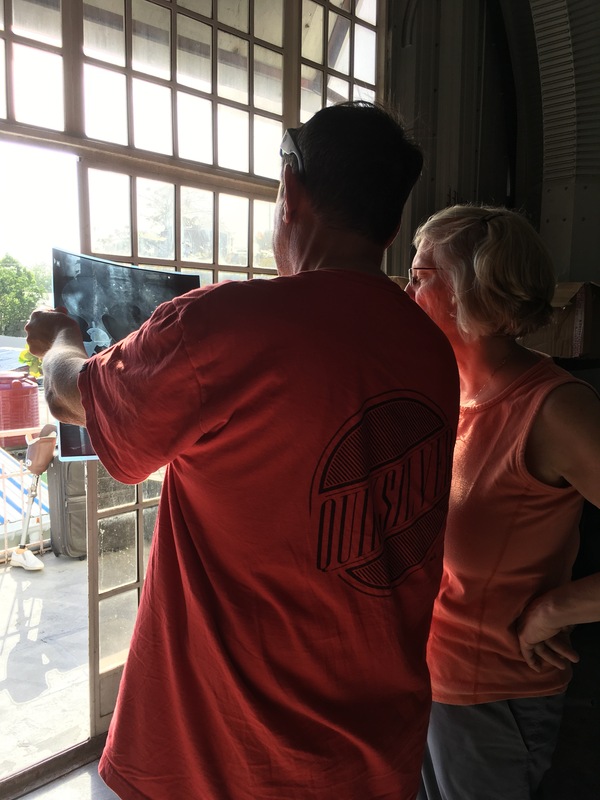 Christy and Derek (PT) teach each patient with a genuine interest towards each individual’s learning style and physical capabilities. The expanse of the people network and the profound depth of the personal relationships Jessica has cultivated is a true gut-check. And seeing the selfless interaction between everyone towards the single-minded goal of spreading God’s love and helping people walk is nothing less than convicting. 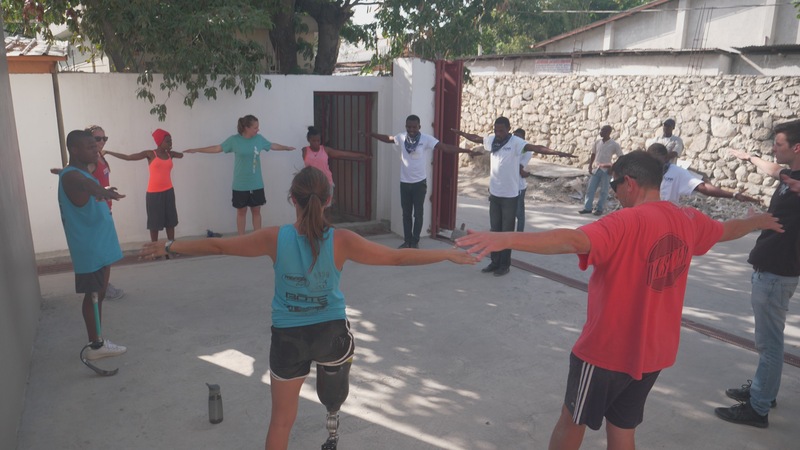 In short, OLUOL has found in Haiti the confluence of two groups of simply remarkable people; people who will change lives. My favorite moment was seeing Christy get down on one knee (her prosthetic knee) and talking to the 11 year old little girl who also lost her leg. As I listened I didn’t know what she was going to say, but she started telling the little girl her story, and how it was really hard. 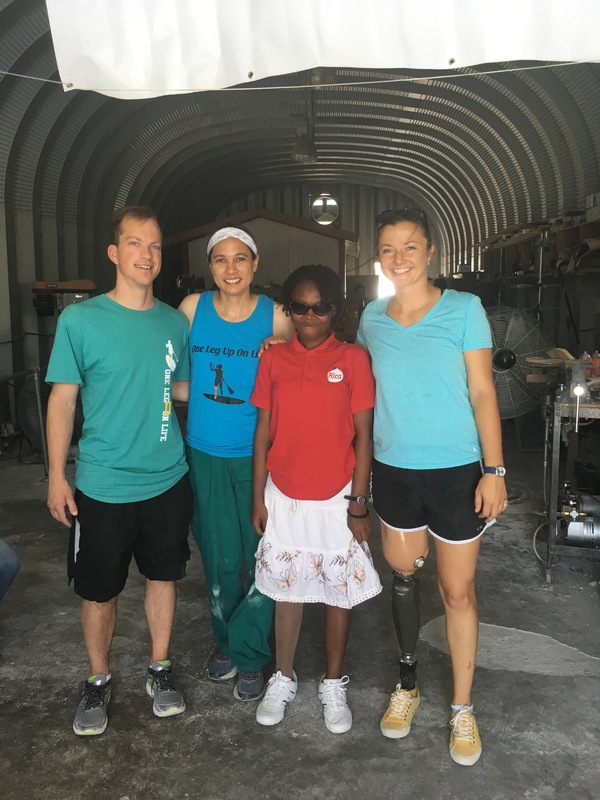 How nothing has been easy since she lost her leg, but that she came to Haiti to help her and to tell her that life will go on and she can do anything she wants to do. The little girl was completely absorbed in what Christy was saying, and you could see her smile at the end. 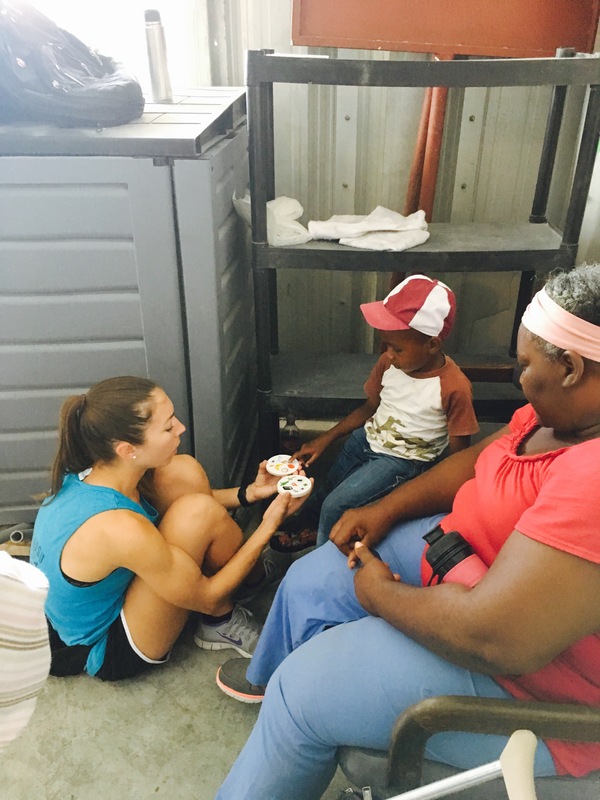 That moment for me summed up what we are trying to do here in Haiti: use the support we’ve had since the beginning and hopefully touch others in a way that’s real and honest and vulnerable. -thanks to everyone who has and continues to support us! Don’t know whether you got this or not. This is a wonderful and incredibly touching story Christy and Jess. You have started something very important and so full of love. Thanks for sharing yourselves where you are so needed. Just finally made time to read this, after such a busy time for me. I cannot wait to contribute funds to this cause and to eventually go be a bag carrier. Love it!